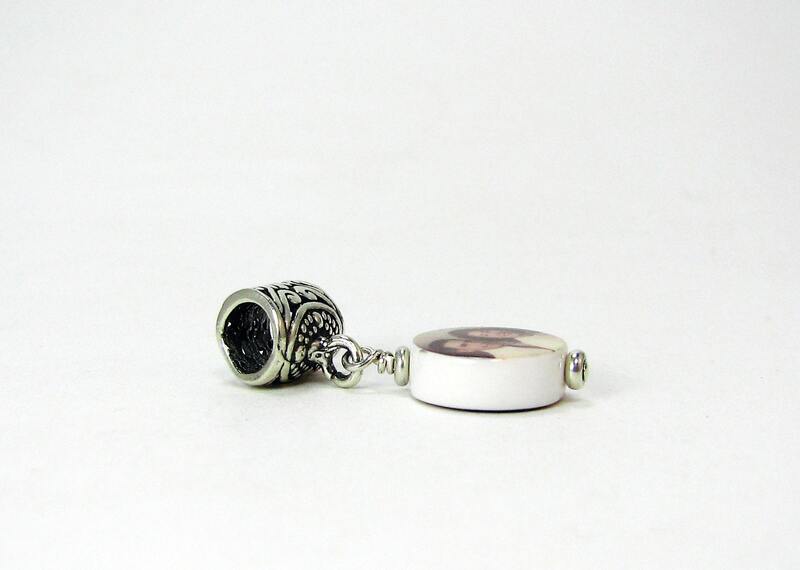 A charm perfect for the P@nd0ra style bracelet lover in your life. 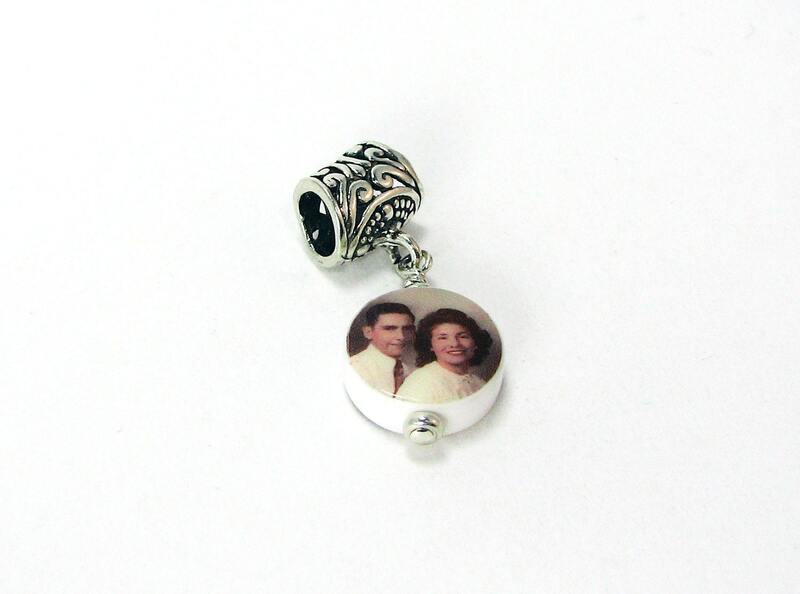 You can order this with a photo on either side, or with a small amount of text on one side. 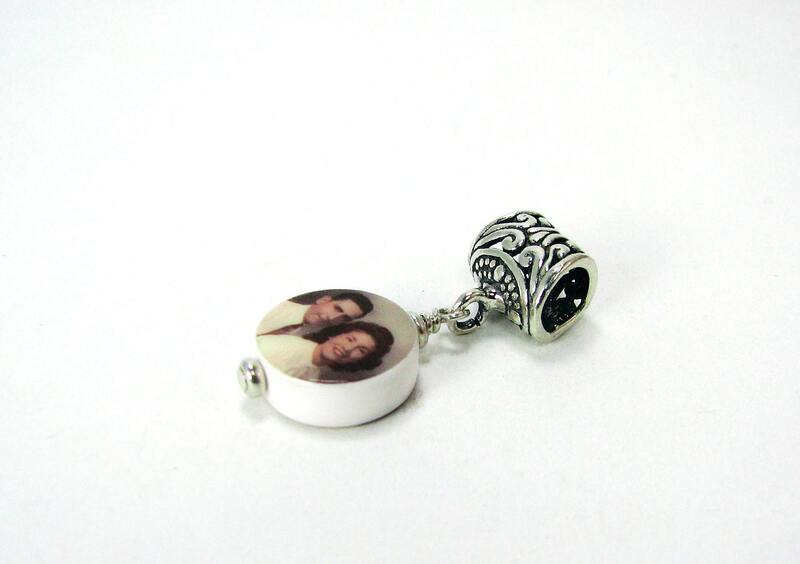 This is a two-sided photo charm that is .5" across. 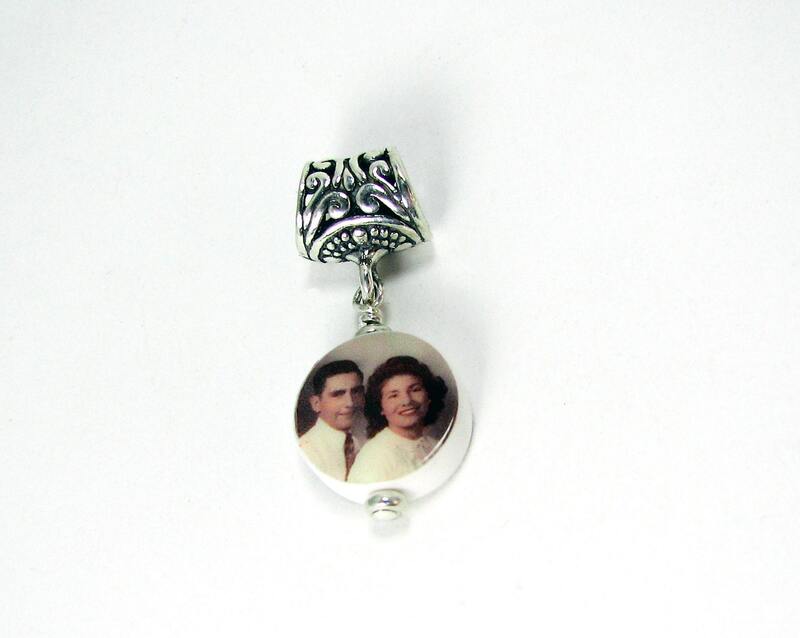 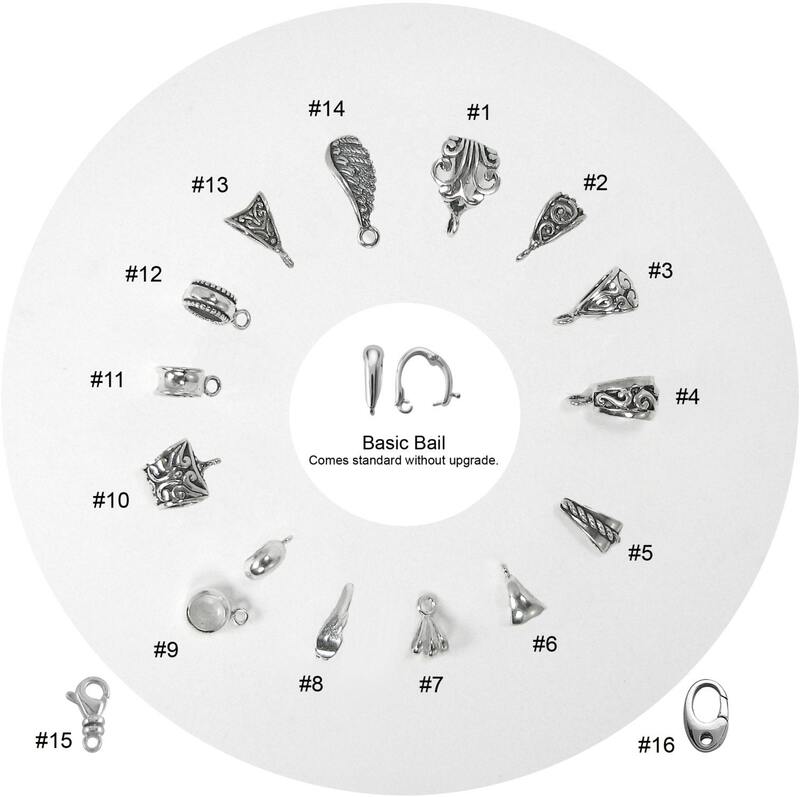 It comes with a sterling, large hole bail so you can easily add it to a bracelet, or wear it as a small pendant on your favorite chain; however, you can choose any bail above in place of the one shown.